Askme Technologies is India based web development company offering a complete set of website development, website designing and customized software development Solution.We have been serving our clients in India and abroad from many years and have handled all our projects with high level of professionalism clubbed with quality service.Askme Technologies focus is on Mobile Apps Development, Web designing, E-commerce solutions, Multimedia solutions, Internet marketing for companies that have multiple branches. Our creative designs & customized look-n-feel attracts the flow of new clients towards us. Our customer-friendly IT Solutions helps our valuable clients to achieve their end target-to increase customer base & profit margins- through attractive Web Sites, B2B and B2C Web Portals, Ecommerce Shopping Carts, Online Web Stores, Customized Web Applications,and User Friendly Website etc. Over the years, Askme Technologies has built a scalable and resilient operation: proprietary R&D, strong financial position, solid infrastructure, and outstanding development teams.As a growing Web development, Internet Marketing & SEO company, we believe in offering bespoke solutions and services to suit every budget. We work very closely with our clientsand make sure that we live up to their expectations. We have a right blend of award-winning designers, expert programmers and Google certified digital marketers which makeus a unique one-stop solution for hundreds of our clients. Askme Technologies is an Agile Software Development Company in India, with expertise in traditional as well asnew media technologies. Our Digital Marketing team employs Agility to develop flexible and responsive software applications. Askme Technologies resources are well trainedinto agile methodology for accelerated software delivery is used by our offshore teams. It helps guarantee a better engagement model between business drivers and IT developmentteams for a fast paced programme of phased, measurable delivery with emphasis on smarter productivity and fewer defects. Learn more about our web design and internet marketing services. Askme Technologies offers expert consulting and IT staff augmentation services to enterprises and organizations requiring additional manpower and skill sets to supplement their IT requirements. We are a well reputed software development and IT staff augmentation service provider actively involved in innovating and deploying client oriented services and solutions across the globe. 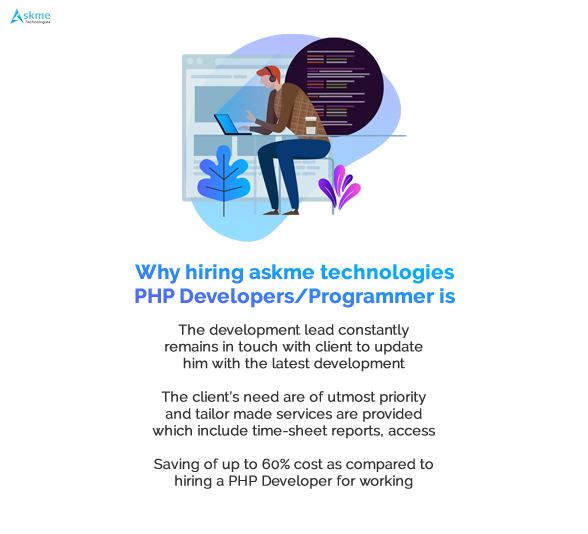 We at Askme Technologies help our clients hire dedicated developers who will be working dedicatedly on their project until it reaches its final stage. 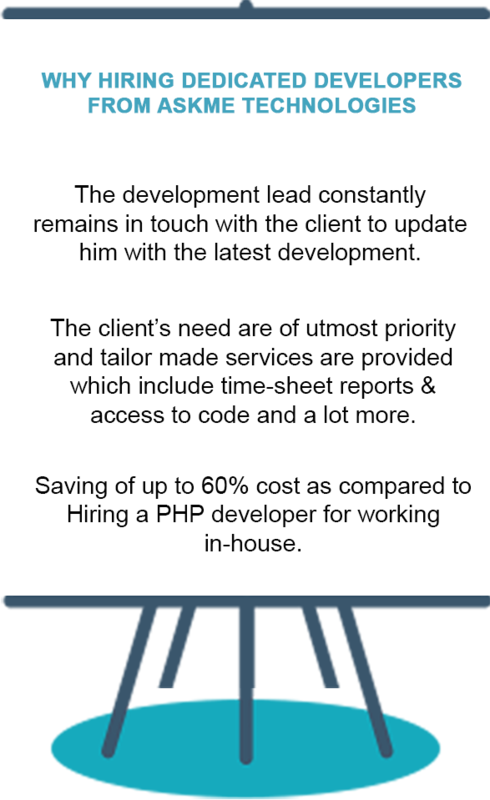 When you hire dedicated web developer from us, you longer need to hire one in your organization and this is going to cut down the cost that goes into promotions and increments. With expert programmers and developers in our team we give you hire dedicated resources that have the competence and expertise to work on your project. Fresh Bunch Spices are foremost spices for its matchless product quality and innovative approach. Fresh Bunch spices are full of original aroma and wholesome flavour of authentic spices. For 40 years in the cosmetics market, being 12 in Brazil, Ruby Rose aims to offer its consumers products of excellent quality at a fair price. Always looking for trends of worldwide success. Formed in 1952, in Entroncamento, Protugal - Compal was the result of the association of a group of enthusiasts and visionaries who were concerned about the problems in the food industry and the health of the people. It started with tomato processing. Askme Technologies team brings value to our partnership by providing difficult to find resources where we need them most; onsite and offshore. Ultimately, we choose Askme Technologies for the value they bring to the table through their flexible delivery model. We achieve by having them as our local partner. Get insight into latest trends and innovations happening in the Technology company.